You are here: Home / News Feed / Who won the International Federation of Television Archives 2018 ‘Excellence In Media Preservation’ award? You guessed it, DAMsmart and SBS took honours in the “Excellence in Media Preservation” category for its SBS’s Preserving Australian TV History Digitisation Project at the recent FIAT/IFTA Archive Achievement Awards. Maddy Kortegast, SBS’s Manager – Archives & Digitisation Project. 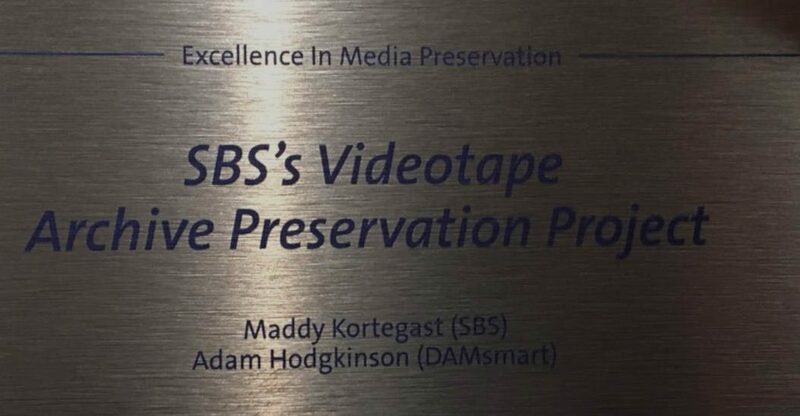 The receipt of this award is the culmination of over five years of DAMsmart and SBS working together to digitise over 42,000 videotapes from SBS’s broadcast archive. The collection contains truly unique content that has been created by the broadcaster to entertain, inform and engage multicultural Australia since 1980. 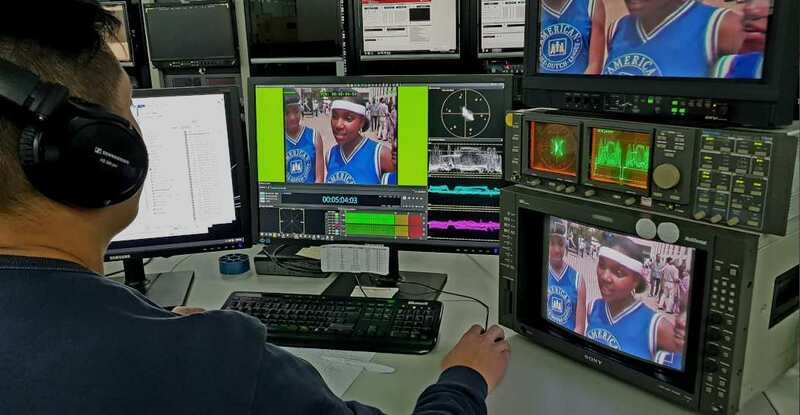 The content on Betacam, DVCPro, MiniDV and 1” was digitised using Lossless JPEG2000 for preservation, DV50 for the broadcast master and an H.264 proxy. This digitisation project transformed SBS’s physical tape collection into a useable digital archive, ready for today’s contemporary broadcast environment. At the conclusion of the project, SBS, together with DAMsmart, nominated the project in the FIAT/IFTA awards program. The awards, developed by FIAT/IFTA, the International Federation of Television Archives, are designed to honour outstanding archival initiatives and projects in the International broadcast sector that significantly improve how the archives are preserved, managed and used. SBS’s meticulous approach to metadata and content selection. The high-quality of digitisation with next to no file rejections. Our knowledge, experience and technology were used to transform the physical collection into a digital archive with the highest rate of content recovery. Through good communication and strong project management, the two organisations ensured that the project was completed on time and on budget; thereby maximising the scope of what was achieved for SBS’s Archive. We are super excited that SBS was proud enough of the project to enter it into the awards. The award win is great recognition for the small and highly-efficient SBS Archive team that have made this project a success. Our team at DAMsmart is strongly dedicated to achieving the best digitisation outcomes for our clients, and the fact that SBS chose to acknowledge our contribution to their project publicly, reaffirms our commitment to providing best quality outcomes. This was a satisfying project because it showcases the breadth of our technical and project management capabilities that delivered SBS with a digitisation service that they could be confident in. From the temporary relocation of the collection between Artarmon and Canberra, to digitisation, to QC workflows that delivered TX-ready files, we were able to provide SBS with a complete digitisation solution.